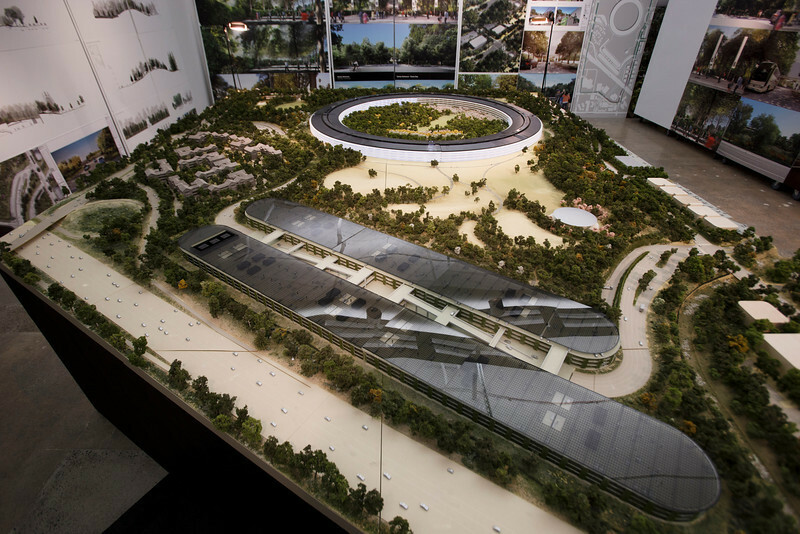 The dream of the Spaceship Campus; Apple’s new corporate Headquarters is the late Steve Jobs. The Spaceship Campus plan was unveiled on the 7th of June 2011, although Jobs idea was to see the Spaceship Campus completed in 2015. A lengthy approval process by the city contributed to the delay. But all is now set as the Campus 2 which is located in Cupertino, California, USA is about to be completed. The construction cost has been estimated to be about $5 Billion, an amount which has wowed many Apple lovers, including the non-users. Many Calling it a waste of money. The Spaceship Campus 2 is expected to be completed by the end of the first quarter of 2017 and should be occupied in early 2017. Spaceship Campus is circular in shape, ( the reason it has advertised as ‘a perfect circle’). It is located on Surban Site now totalling 176 acres and is planned to house up to 14,000 employees, one central four-storied circular building of approximately 2,800,000 square feet – According to Wikipedia. This is a beautiful project indeed, and Apple has once again been able to make the internet go buzzing. People have been wondering if Apple has focused on the right ends (based on the Spaceship Campus project), but a commenter on another blog made a joke saying ‘Some architecture community question whether Apple has focused on the right ends – it is a circle, it doesn’t have any ends’. Though funny, I really do agree with his/her point of view. Let us know what you think in the comment section below.